Suzanne Pugh, no I really don’t have a middle name. I run www.FreediveEgypt.com and mainly teach out of Aquarius Dive Centre at the Marriot in Hurghada as it has a quiet pool for training and boats going out to the reef every day. I also teach in Makadi Bay with I-Dive when we have AIDA 3* courses and need 20-30m as it is easier to go from the beach. For deeper training we go to Sharm el Naga as there is a buoy at 40+ metres and speed boat safety from the beach; it can get a bit choppy depending on the wind. How long have you dived for and what qualification are you? I learnt to scuba dive in Bristol in 1994 but hated taking my mask off so was unable to qualify in Stoney Cove and had to make my qualifying dives in Antigua. Really no comparison! I moved to Hurghada on Friday the 13th of October 2000 to do my Dive master, AI and Instructor course with Emperor Divers at the Hilton Hotel. My idea was to stay for maybe six months and get some diving experience. I was given the amazing opportunity to work as a Rep for Regaldive, which meant all my guests were divers so I could go on the boat every day and dive too. I took my first freedive training in 2001 and competed in Hawaii in 2002 on the UK Freedive Team. I became an AIDA Freediving instructor in 2003 but didn’t really start teaching freediving until 2006 when I gave up the day job. 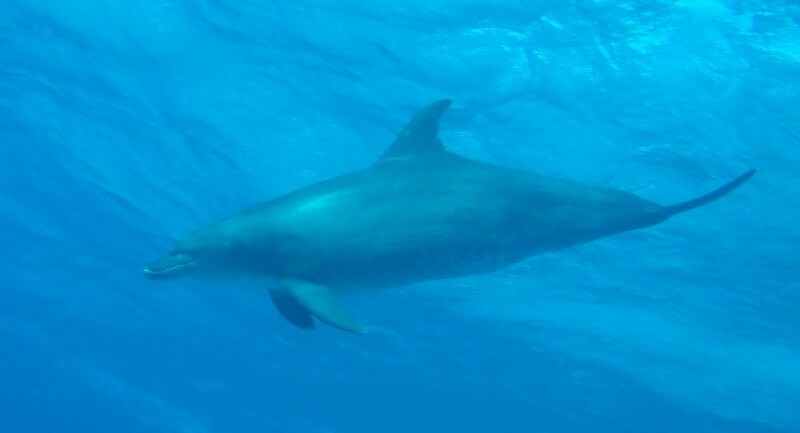 Freediving is my favourite type of diving especially with dolphins and the amazing marine life we have here in the Red Sea. I enjoy the freedom that freediving gives me to move around in the water without worrying about deco stops or how much air is left in the tank. What is your role within www.FreediveEgypt.com ? I am the main Instructor teaching AIDA courses. I am also a SSI Freediving Instructor and PADI scuba diving instructor but now only scuba dive for fun. What was your most memorable dive in Egypt and why? I have had amazing dives with a whale shark, hammerheads and thresher sharks in the south of Egypt. My most memorable freedive though was at Dolphin House reef just outside Hurghada. I had a face to face with a dolphin scanning me up and down for what seemed like five minutes. I had never had that experience before or since. I was pregnant at the time but didn’t know it, so guess that was why. 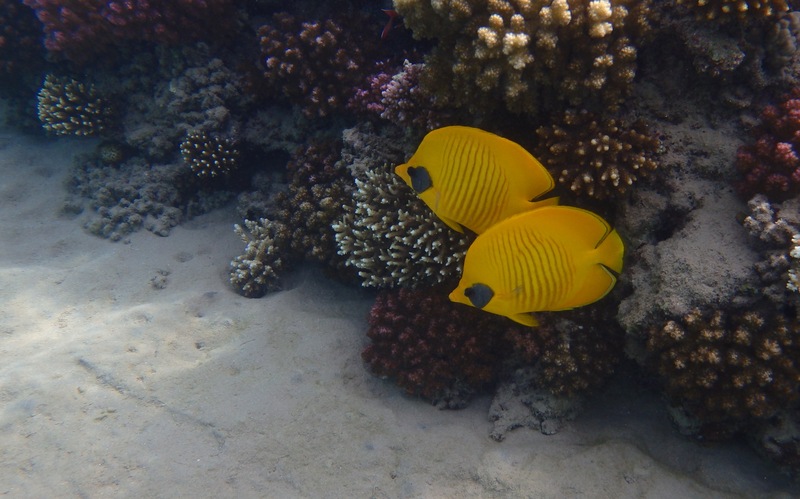 All kinds of diving are available in the Red Sea, beautiful reef dives with bright corals and hundreds of fish swimming all around you. Beginners can have a try dive in the shallow waters next to the reef. There are wreck dives at Abu Nuhas with part of the mast sticking out of the water, which makes them accessible to snorkelers, freedivers and scuba divers. There is also the famous SS Thistlegorm, which is usually dived from a liveabord boat. Technical divers enjoy the drop off at Umm Gamar and Abu Ramada. The Red Sea has it all. I love seeing people go out of their comfort zone and realising they can do something they didn’t think they could. Maybe it’s a two minute breath hold or diving to 20 metres depth or even just being able to dive in the sea and not be scared. I am also a yoga teacher and I love helping people get into the zone by stretching all their muscles and releasing tension they didn’t even know they had. Teaching people to relax in the water and explore themselves and the amazing underwater environment of the Red Sea is such a gift that I am honoured to have. What is your favourite underwater creature? The octopus has got to be my favourite as I don’t see them very often and when I do it is always a game of now you see him, now you don’t. Take your head out of the water to say to your buddy ‘wow look there is an octopus down there’ and look back and not being able to see him anymore until he moves again. They are amazing creatures, changing to the environment they are in and just fitting into the smallest of spaces. If you could tell people one thing about the Red Sea to make them want to visit you what would it be? 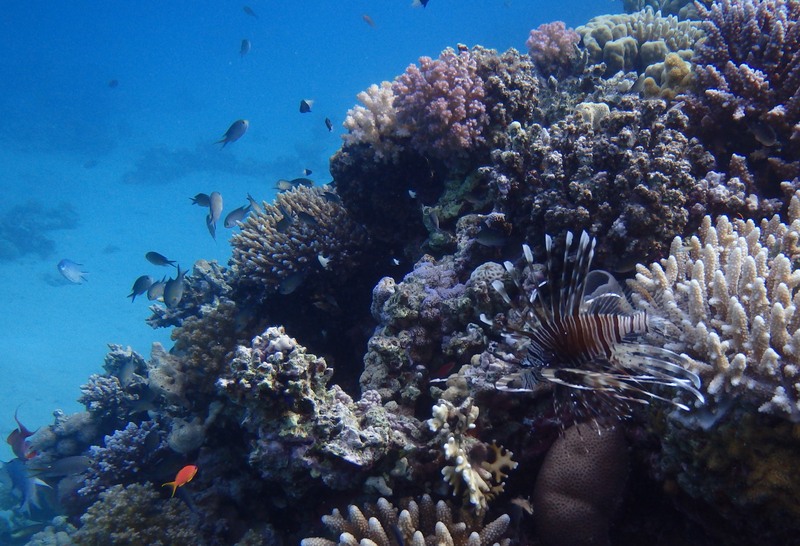 The Red Sea is one of the most beautiful places in the world with a vast array of corals and marine life. We have the chance to dive with wild dolphins, turtles, moray eels and Nemo! The water is warm and has visibility of 20m+ most of the time and it’s only a short flight away from Europe.